View of the tower. Designed by Coop Himmelb(l)au. 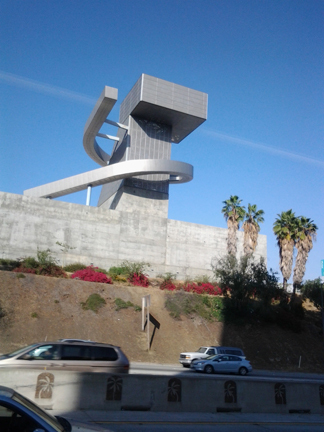 Seen over the 101 Freeway, opposite from the Los Angeles Cathedral. Back to Los Angeles Civic Center.